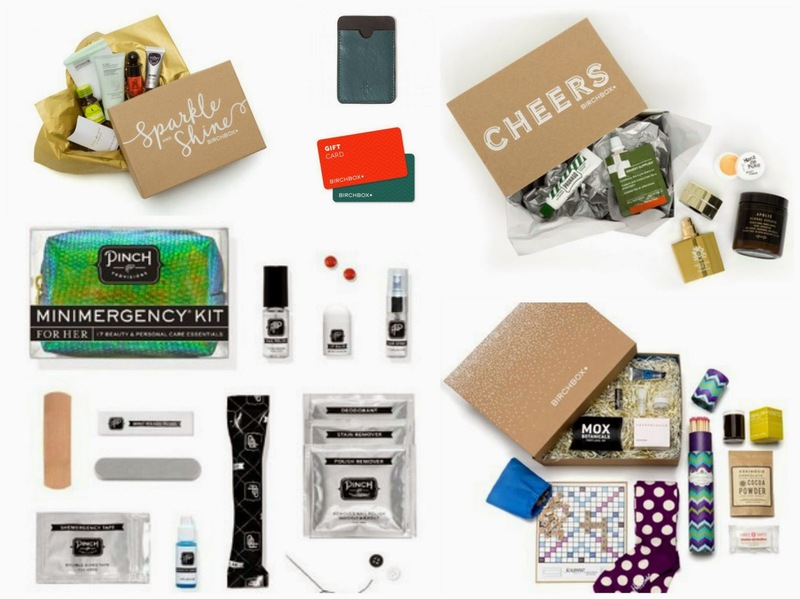 Birchbox has partnered with (RED) this holiday season to raise money and awareness in the fight against AIDS. While November is a time about pumpkin pie and gift giving, it is also a time for giving back. During November, subscribers will receive special (RED) Birchboxes, featuring a design that highlights key facts everyone should know about the AIDS fight. This holiday season, every time someone takes a photo of a November (RED) Birchbox, and shares it on Instagram or Twitter with the #shaRED hashtag, Birchbox will donate $1 to the Global Fund to fight AIDS. By taking and sharing photos of the (RED) Birchbox, customers can play an active role in raising both money and awareness to support the goal of an AIDS Free Generation. Fact 1: It costs as little as 40 cents a day to provide life-saving medication for a person living with HIV. Fact 2: In 2002, 1,500 babies were born with HIV each day. Today that number is down to 650. We can get that close to zero. Fact 3: Medication can reduce the risk of a mother passing HIV on to her baby to less than 5%. About (RED): (RED) was founded in 2006 by Bono and Bobby Shriver to engage businesses and people in the fight against AIDS. (RED) partners with the world’s most iconic brands that contribute up to 50% of profits from (RED)-branded goods and services to the Global Fund. (RED) Proud Partners include: Apple, Starbucks, Galaxy Chocolate (UK), The Coca-Cola Company, Bank of America, Beats by Dr. Dre, Belvedere, Claro, SAP, Telcel and Live Nation Entertainment. (RED) Special Edition partners include: aden+anais, Jonathan Adler, Theory, HEAD, Kidrobot, Mophie, Sir Richard's Condom Company, Square, Girl Skateboards, Bottletop, Fatboy USA and Bed Bath & Beyond. To date, (RED) has generated more than $275 million for the Global Fund to fight AIDS, Tuberculosis and Malaria, to support HIV/AIDS grants in Ghana, Kenya, Lesotho, Rwanda, South Africa, Swaziland, Tanzania and Zambia. 100 percent of that money goes to work on the ground – no overhead is taken. Global Fund grants that (RED) supports have impacted more than 55 million people with prevention, treatment, counseling, HIV testing and care services. (RED) is a division of The ONE Campaign. **No purchase necessary. Birchbox has already committed to a $15,000 donation and will donate an additional $1.00 to the Global Fund to fight AIDS with (RED) for every photo of these facts shared on Instagram or Twitter with the hashtag #shaRED, up to an additional $10,000. Promotion ends December 10, 2014. 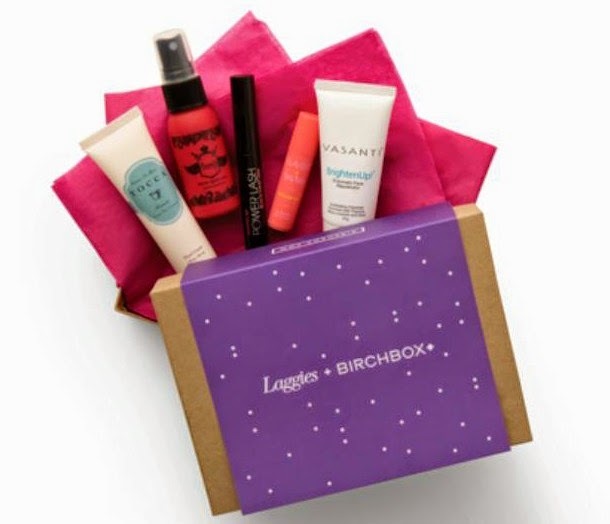 Birchbox has partnered with A24 and “Laggies” on an exclusive box of beauty samples to kick you into gear. “Laggies” is a coming-of-age romantic comedy starring Keira Knightley, Chloë Grace Moretz, and Sam Rockwell opening in theaters this month. 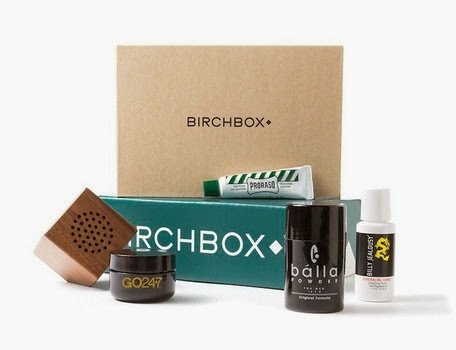 The co-branded Birchbox, inspired by the feature film, is filled with products fit for taking charge, tackling new challenges, and having fun while you do it. From longwearing mascara that will keep up with all your adventures to a confidence-boosting scent, the Laggies Birchbox contains everything you need to “stop lagging and start living”. Additionally, subscribers who receive the box and tag #laggiesmovie on their social channels will be eligible to win free tickets to see the film in theaters. The co-branded Birchbox will be available in limited quantities to for current subscribers to opt-in to receive. 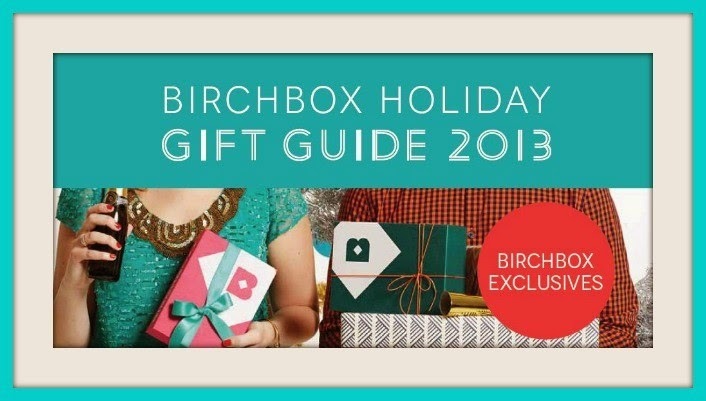 New customers can sign up for a subscription to Birchbox by Oct. 31 to receive the LaggiesBirchbox as their first box. About Laggies: Overeducated and underemployed, 28 year old Megan (Keira Knightley) is in the throes of a quarter-life crisis. Squarely into adulthood with no career prospects, no particular motivation to think about her future and no one to relate to, Megan is comfortable lagging a few steps behind – while her friends check off milestones and celebrate their new grown-up status. When her high-school sweetheart (Mark Webber) proposes, Megan panics and– given an unexpected opportunity to escape for a week – hides out in the home of her new friend, 16-year-old Annika (Chloë Grace Moretz) and Annika’s world-weary single dad Craig (Sam Rockwell). Directed by Lynn Shelton. 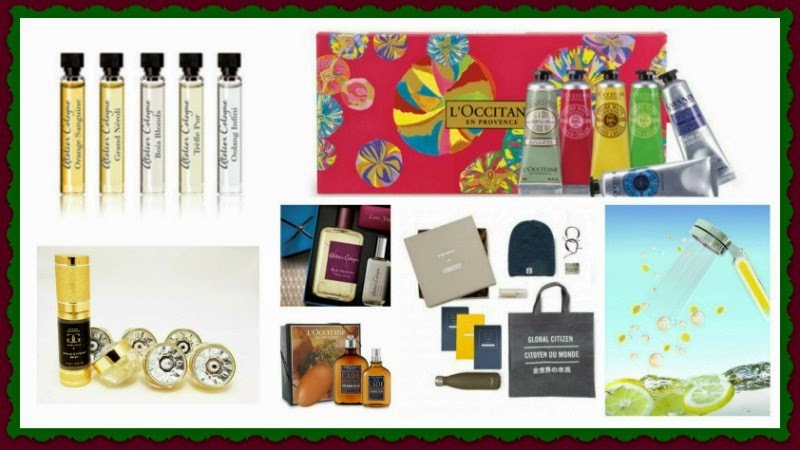 Birchbox announced that the brand has launched a festively themed, limited edition box for those that love all things fall! With its burst of seasonal colors and nostalgia-inducing flavors, fall brings us plenty of entertaining inspiration … and with it, a reason to come together over food and drink. 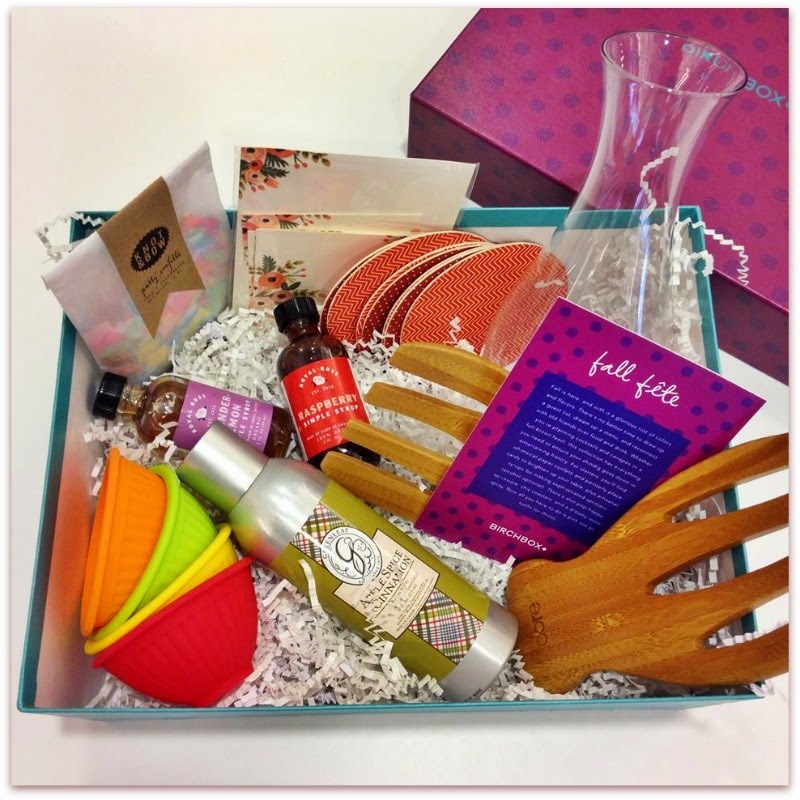 The Birchbox Limited Edition: Fall Fete Box is here to give your next event an extra upgrade. From artisanal cocktail syrups to enchanting place cards, these spirited accents will sweeten up any occasion -- whether you’re sipping on hard cider with friends, or hosting a full-blown feast. 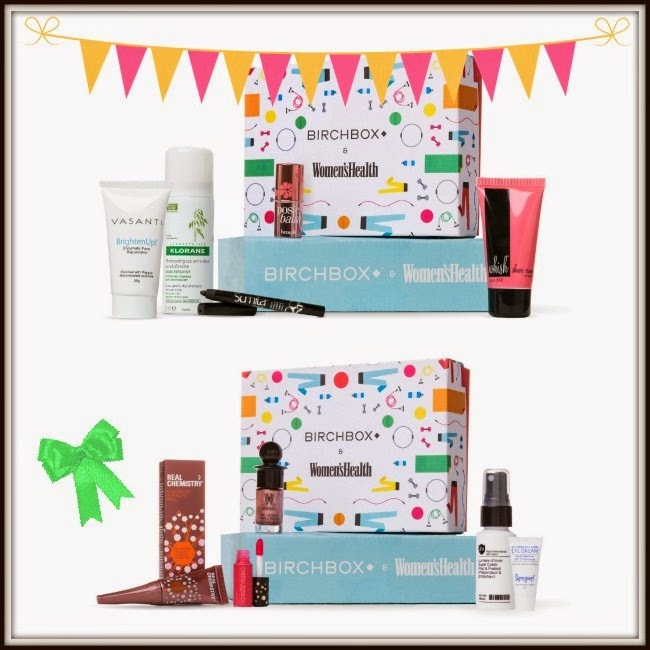 Birchbox Limited Edition: Fall Fete Box ($48) is available now at Birchbox! Birchbox announced April 15, that the brand has partnered with Baby Buggy to create a multi-purpose custom pouch designed by new mom, Jenna Dewan-Tatum, just in time for Mother’s Day. The collaboration between Birchbox, Baby Buggy and Jenna will support Baby Buggy, a non-profit organization that provides families in need with essential gear, clothing, products and services for infants and children with the goal of improving their safety, health and well-being. Custom designed by, Dewan-Tatum the Birchbox and Baby Buggy "On the Go Pouch" is a perfect carrier for anything from diapers and wipes to baby snacks and other necessities for children. Moms can also use the multipurpose pouch for themselves as a makeup/toiletry case. A perfect gift for new moms this Mother’s Day! Dewan-Tatum chose a teal chevron design with pink interior lining and white accent colors that makes the pouch super chic and on-trend. Lightweight and colorful, this carryall pouch is currently available exclusively on Birchbox. “I am so excited to design a pouch for mothers with Birchbox to benefit Baby Buggy,” said Dewan-Tatum. “I love the idea of designing an item that will not only help mothers but that will support families in need.” The Birchbox and Baby Buggy On the Go Pouch is available for $22 exclusively in the Birchbox shop. Birchbox has also kindly made a donation to Baby Buggy’s cause in support of this partnership. About Baby Buggy: Baby Buggy, founded by Jessica Seinfeld in 2001, is a non-profit organization dedicated to providing families in need with essential equipment, products, clothing, and services for their infants and children up to age 12. With an extensive network of community-based organizations across the country, Baby Buggy has donated more than6.5 million items to thousands of children. Baby Buggy is a Better Business Bureau Accredited Charity, passing all 20 BBB Standards for Charity Accountability. For more information, visit Baby Buggy. 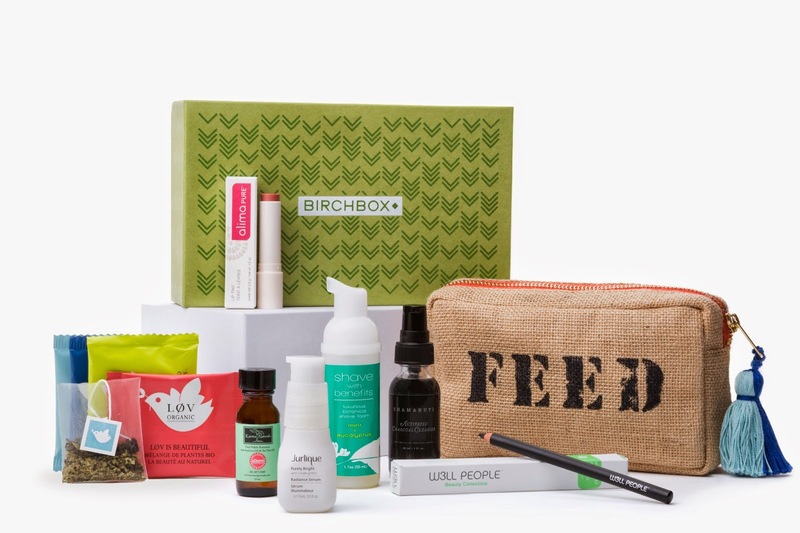 Birchbox announced on April 8, the launch of its Limited Edition: Free For All Box and this fits in perfectly with The Makeup Examiner’s Earth Month Celebration! The Limited Edition: Free For All Box ($44) is filled with all-natural products that are free of parabens, phthalates, sulfates, petrochemicals, and GMOs, and features an exclusive pouch by the humanitarian fashion label FEED. These handpicked best-in-class products rely largely on natural extracts from fruits, flowers and veggies. The Makeup Examiner knows first hand that several of these products are absolute must-try items! 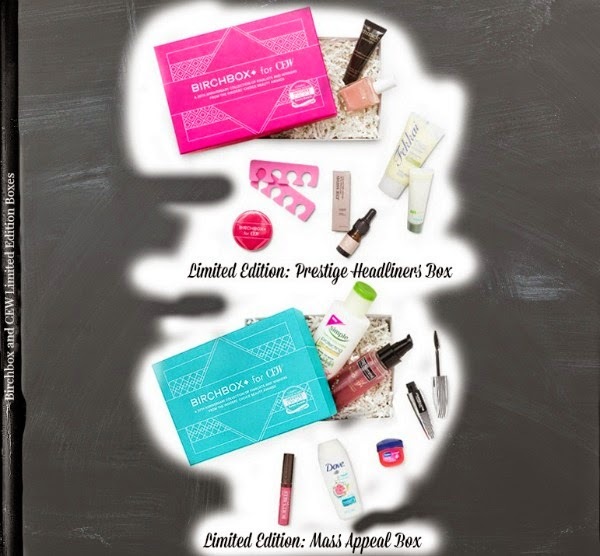 The Limited Edition: Free For All Box can be purchased exclusively at Birchbox. For subscribers and customers interested in discovering more clean products, Birchbox has created a new shop category … Ingredient-Conscious Picks. Each product featured in the shop is free of parabens, phthalates, sulfates, petrochemicals, and GMOs. Happy Earth Month! The ladies at Birchbox consider Mally Beauty to be one of their favorite brands, citing that Mally offers up high-performance makeup products ready for the Red Carpet, yet made for real women just like us! Does The Makeup Examiner trust the opinions of the brilliant ladies at Birchbox? Of course! But, TME had to find out for herself. Admittedly, Mally Beauty wasn’t a brand that TME was familiar with. So, I had to find out a little bit about who was behind this brand. Mally Roncal, creator of Mally Beauty, has been a celebrity makeup artist for over fifteen years. Working with A-listers like Beyoncé, Angelina Jolie, Rihanna, and Heidi Klum, Mally found that many pro formulas lacked what she needed. So Miss Mally set out on a mission to create a line of cosmetics that could hold up on the Red Carpet, yet be usable to real women. The Makeup Examiner was sent several products to try and a few to giveaway, so without further ado, let’s get to the review. To start, the packing is a really chic design of a snakeskin pattern fashioned in perfect pastels that are a huge hello to spring! 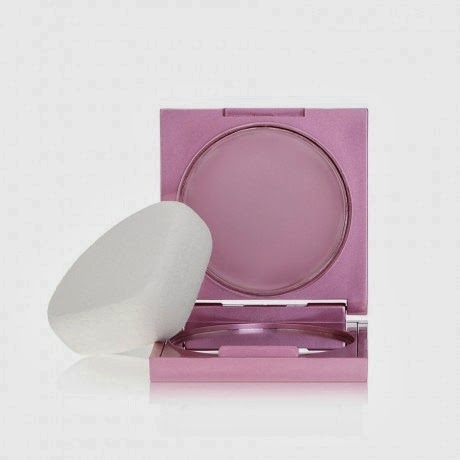 Beauty Lip Magnifier ($20) is an amazing crossover, highbred creamy lipstick-meets-lipgloss! 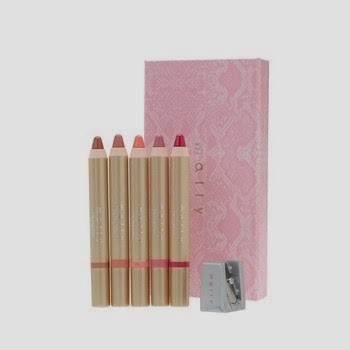 Available in seven shades, the highly pigmented lip product is delivered in pencil form and offers just the right amount of shine to give the illusion of fuller lips. 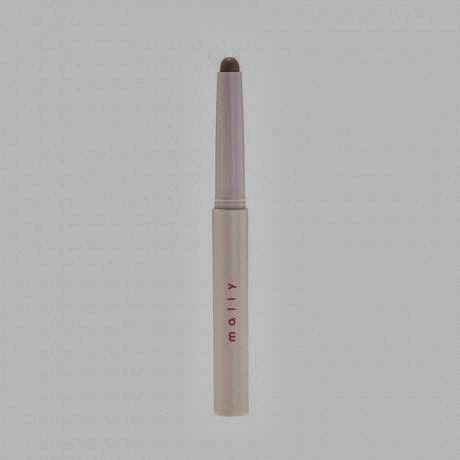 Beauty Evercolor Shadow Stick ($25) is a multi-purpose product offering a creamy formula that glides on smoothly, is smug-proof, and acts as a three-in-one primer. Bonus: The shadow stick is smartly designed and can be used as eyeliner. Beauty Evercolor Poreless Face Defender ($40) is an amazing primer, as in where have you been all my life?!?! Evercolor Poreless Face Defender instantly minimizes the look of pores and fine lines! 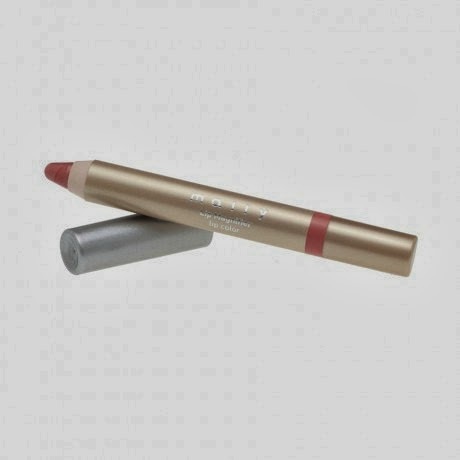 Plus, it is long lasting (no midday reapply), helps to give a flawless finish to your makeup and includes an applicator. Cancellation Concealer System ($35) is a girl’s best friend. Love the two-pocket, snap closure pouch … so easy for traveling! 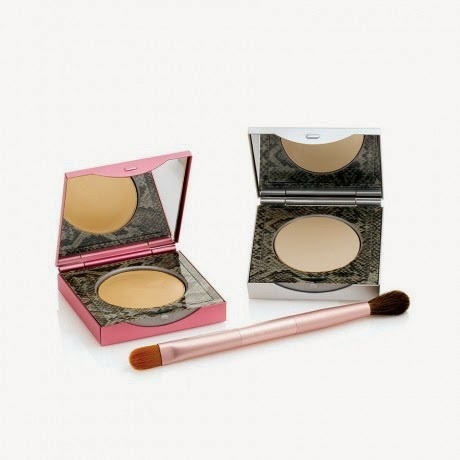 This no cake formula covers dark circles (TME’s biggest problem lately) and blemishes with ease while the translucent powder offers long-lasting coverage with a flawless finish. Includes a double-side brush for easy application. Mally Beauty does not test on animals, and apparently Miss Mally likes to joke that the products “are tested on celebrities, not animals”. So cruelty-free is good with TME! Plus Mally Beauty is made for real women! Limited Edition Mally Beauty can be found at Birchbox and other brand products can be found at Mally Beauty. 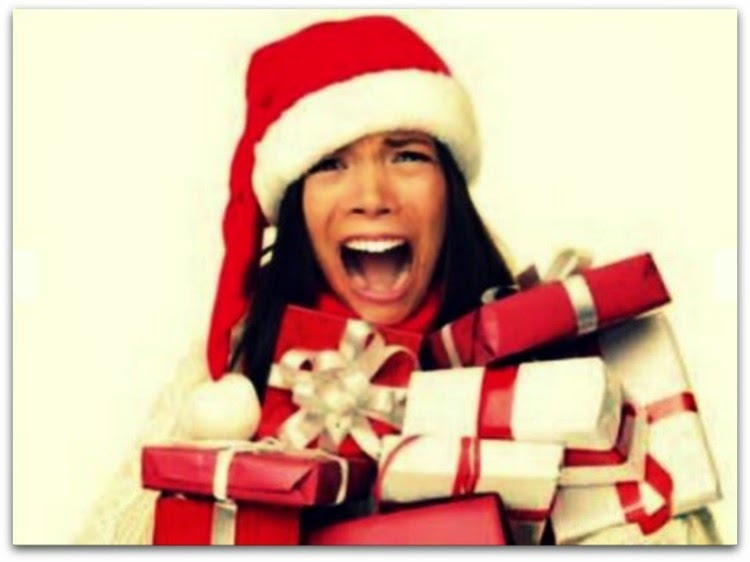 Now that you beautynistas know about Mally Beauty, are you ready to get a few goodies for yourself? 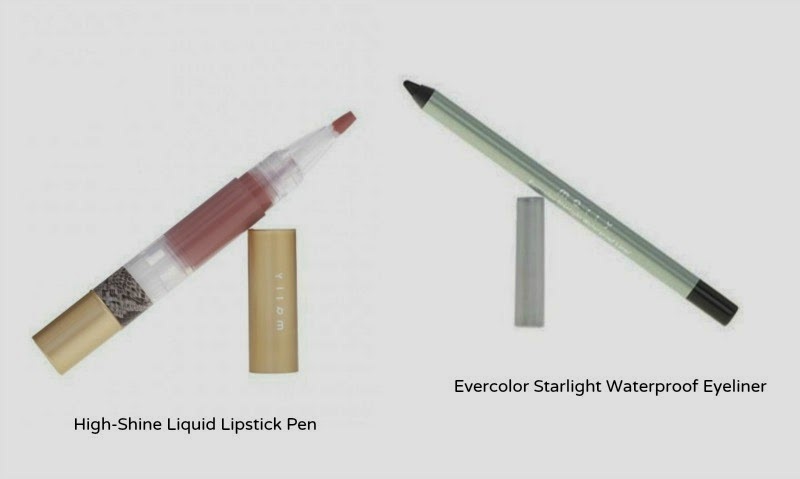 One (1) lucky reader will receive the following: One (1) Mally Beauty Evercolor Starlight Waterproof Eyeliner and One (1) Mally Beauty High-Shine Liquid Lipstick Pen valued at over $40! Email TMEGiveaway@gmail.com with the Subject Line: Birchbox Mally Beauty Giveaway! Finish the sentence: Mally Beauty is made for ______ women! The deadline to enter is Friday, April 4, 2014 at 11:59PM (ET) and for complete terms and conditions, visit TME’s Giveaway Page! Cynthia Rowley Beauty launched exclusively on Birchbox in November 2013 with the debut collection inspired by her ready-to-wear designs. Products to come this Spring include the Eye Liner Pencil in Sky Blue used in the presentation, which will launch with other additions to her core collection in April. A Spring Limited Edition Eye Shadow Palette and Cosmetic Bag will launch in May. 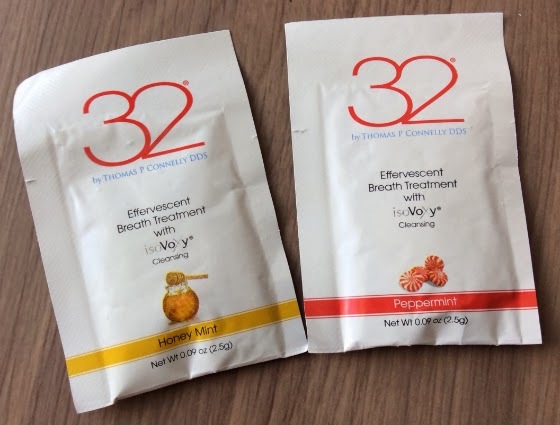 Birchbox made two announcements on Tuesday, Feb. 18. 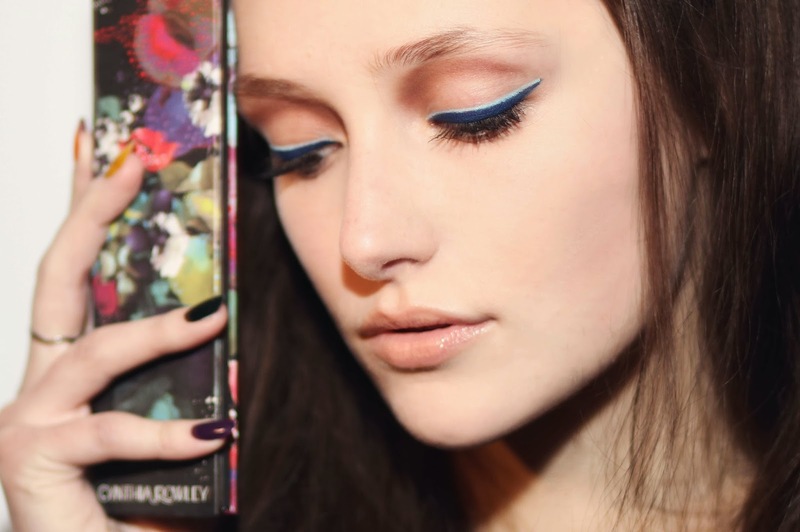 The first, though not surprising, was a major announcement that Birchbox has partnered with Cynthia Rowley as the official makeup sponsor for her Fall 2014 presentation. The second announcement was the extension of availability for the brand’s Us Weekly collaborative box. Today's announcement marks the third collaboration for Birchbox and Rowley. 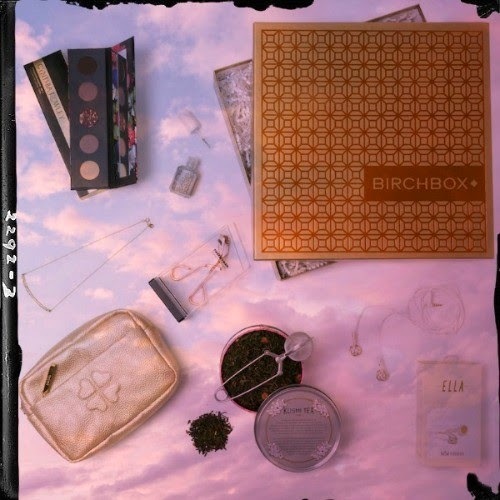 In July 2011, Cynthia Rowley was Birchbox’s first-ever guest curator and in November 2013, Cynthia launched her beauty line, Cynthia Rowley Beauty, exclusively at Birchbox. 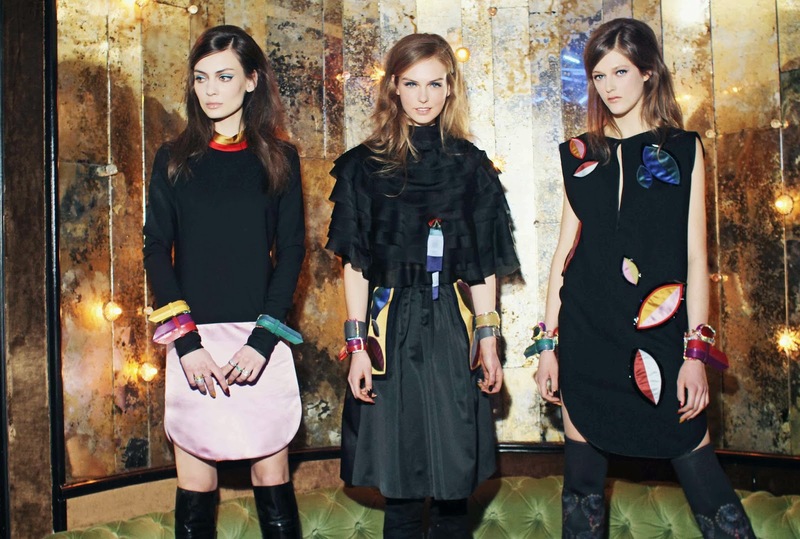 As for the Cynthia Rowley Fall 2014 Collection presentation the makeup look was led by Adrien Pinault, using Cynthia Rowley Beauty products, and Birchbox brand partners Jouer and Vasanti. Pinault’s creation for the show was inspired by the sporty vibe of the Fall 2014 Collection and featured “racing stripe” in shades of blue and plum as the liner with a barely-there powder for face. Reader’s can find the complete product breakdown Here! Directly after the Birchbox/Rowley collaboration announcement, was the announcement that Birchbox’s collaborative Us Weekly “Red Carpet” beauty box, first announced on Jan. 8 right here, will have an availability extension until Feb. 23. The deadline extension falls in line with the upcoming 86th Academy Awards on March 2. You can check out a review on Birchbox’s Us Weekly “Red Carpet” beauty box on Here! ©2014 Yvonne P. Mazzulo, a.k.a., The Makeup Examiner. All rights reserved. Today, Nov. 5, designer Cynthia Rowley and Birchbox announced an exciting new partnership to launch Cynthia Rowley Beauty. 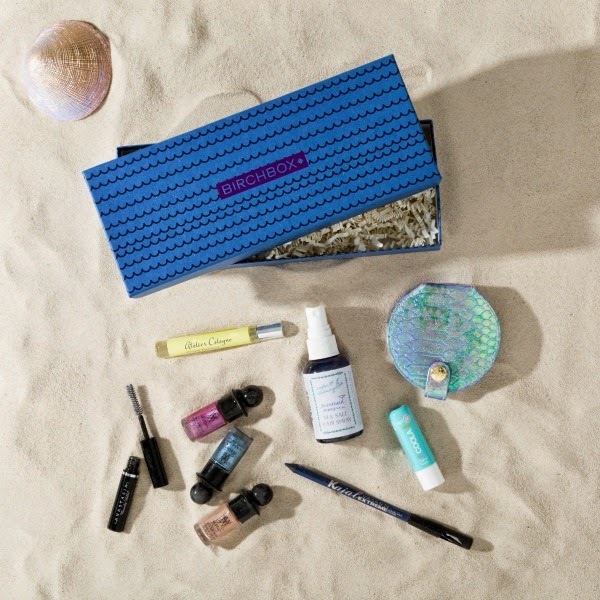 Cynthia Rowley has previously worked with Birchbox as the company’s first guest curator in July 2011, selecting her favorite products in a limited edition box exclusively for Birchbox subscribers. Cynthia Rowley Beauty was inspired by Rowley’s personal quest to create products that were long-lasting and easy to use, to solve her own cosmetic needs, and in turn, the needs of her customers. The collection consists of three spotlight products, focusing on the ideal formulas and applications. Cynthia Rowley Liquid Eyeliner ($18), available in black ink and brown ink, will be an ongoing fixture in the collection, the eyeliner features 12-hour staying power with a precision tip for perfect application. 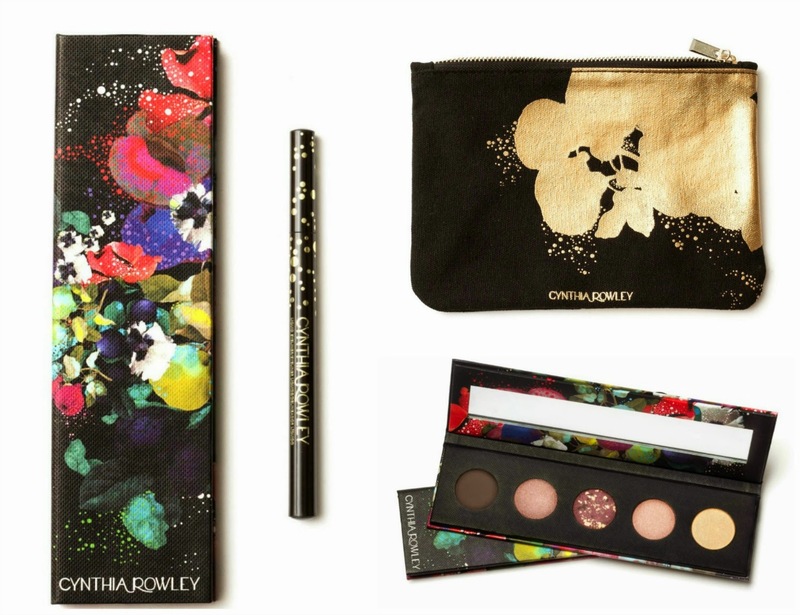 There are two limited edition products within the collection, Cynthia Rowley Eye Shadow Palette - No.1 ($24), containing shades five shades: Clove, Sugarplum, Patina, Mink, Champagne; and Cynthia Rowley Gilded Canvas Bag ($15). The Eye Shadow Palette shadows feature a silky formula and the hues are inspired from Rowley’s current ready-to-wear collection. The limited edition Cynthia Rowley Gilded Canvas Bag is a black and gold cotton cosmetics bag that serves as a canvas to display one of Cynthia’s most celebrated prints.